"Her vocals are pure and so lovely to hear the magnifient blues and jazz sounds by her vocals. She has a heart warming vocal sound." 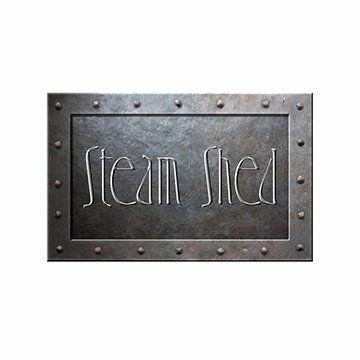 Steam Shed's musical style ranges from blues to jazz to steampunk - original songs & reimagined covers. Heather is the songwriting duo that creates most of our songs, bittersweet lyrics of love gone wrong, comment on the world around us and even one about skydiving... The four of us come from very different musical backgrounds - and it shows. If you stick a couple of prog rockers with a punk rocker and a folk/choral/opera singer, it's always going to be interesting. It's like this: Imagine we have a Shed where we make music. It's all powered by steam, but some of it is coal fired, some of it is solar powered and some of it is nuclear powered... You'll never quite know what's coming next. We're working on our first EP. We're performing live in Hampshire and Wiltshire (UK). We just want to share our music with others and hopefully inspire them and get themthinking.